I would like to see Egyptian history correlated with Israelite history side by side. Who were the Pharoah's of Moses, Joseph, David etc. How is Africa and the Hebrews related and exactly where are they now? In lieu of the Bibles depiction of Moses opening the REED Sea and the ultimate destruction of Pharaoh's Army ( the Host of Egypt) Rameses could not have been that Pharaoh...I've visited Egypt on three occasions and seen evidence that he was buried in a Tomb and his Mummy recovered. He was succeeded by his son. Therefore we can deduce that neither he nor his son DROWNED with the Egyptian army in the sea! The 12-17th dynasties ran concurrently. "Minoans" worshiped Vedic gods. Vaurna (sea god) and Mitra, a son god. As did "Israelites" or "Hebrews" ("Apiru/Habiru" is "Ionian Greek"/Levite for "coastal dweller" along the shores of The Levant), the "Shasu of YHW" are the foot soldiers of Yuya/YHWH, the "Vizier" of 18th dynasty, and YHWH's name is first documented at 18th dynasty YHWH temple at Elephantine built by Amenhotep III, his son-in-law. Elephantine temple is sacked and destroyed, then rebuilt under the rule of Cyrus, who gives funds to the KHaburu Levites to rebuild it, they label him "The Mesach" in gratitude. Levites are "Hebrew" tribe too. They are they same people. The KHaburus (silent K) are the in-laws of the court of Amenhotep II, Thutmose IV, Amenhotep III (Yamuni Hopte III, a Vedic king), from the KHabur river culture of "Mitanni" which is Akkadia which is the Levant. "Hebrew" language is N.W. Akkadian. DNA PROVES they all migrated down from the mountains of Ararat/Hurriya/urartu/Armenia. "Druze bedoins/Ashkenazi Jews, Sephardic Jews, Georgians, Palestinians and Syrians: all the same people. Ugarit is it's major trading port: there it is found all the origins of "Hebrew" mythology. Thousands of "Hebrew" documents. NONE in The Pelest/"Israel." That's why the 18th dynasty called themselves "Kheperukheperu": both mother and father were Vedic Indo-Aryans from Mittani. Fact. And any attempt to link the Vedic Indo-Aryan culture to Egypt is quite correct: they were sister kingdoms, as were the Hittites and Mittani. And ALL Minoan traces stop after 1624's eruption of Thera. That is why one commenter above noted one Egyptian queen's reign was "chaotic": she started her reign @ the time Thera blew. Tiye, by the way, is named after Satyavati. From the Mahabharata. In fact....she WAS Satyavati. Sa=Queen. Tya=Tiye. Vati=Water. The Mother Goddess' water/river. And one of her "other sons" sons ruled the Hittite kingdom. Dashurta is Satyavati's father. Tushratta. The Mahabharata states he demanded Yanumi Hopte III ("Santanu") place any offspring of Satyavati on the throne ahead of the existing Crown Prince. Sound like the "chaos" of the "Akhenaton" kingship? She wasn't "of the royal line." Ik Natha was in India as a child. He practiced Yogi. That image of "The Aten?" All those arms? Surya, the many-armed Vedic Sun god always depicted with a disk above him. His grandfather Tushratta was Sol/Saul, the Sun King. And he was aka Yuya/YHWH, driving his "blazing chariot." The Sun. Yamuni Hopte III was aka "NebMatre." One of his royal titles. Nebu MaitReya. Ya="land of." Nebu=Golden. 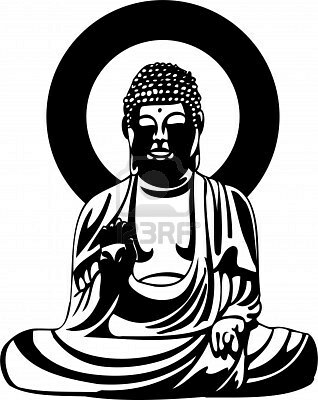 MatRe=MaitReya: The Buddha. Ptah. Whom Yamuni Hopte III built a huge temple to at Memphis. Ever see the statue of the Sleeping Golden Ptah, 1800BC??? SokarAmun Ptah: ShakaMuni Buddha. And "Sokar?" Uhhh no. That is SakRa, an avatar of Indra. Depicted in Egypt standing on the defeated many-headed serpent Vrtra. THAT is VEDIC MYTH, from 3000 BC Egypt. All of this "Hebrew" and "Israelite" stuff was dreamed up in the 700s BC "Ionian Greek" (Levites from Mittani) period when they screwed up history Twisting it (Torah-ing it) inventing "Homer", inventing "The Trojan war" (actually happened between the Hittites and Mycenaen/Trojan/Phyrgian/Jewish/Levites "allies." If the SAME PEOPLE can be "allies with themselves.") Documented. Actually the cause of the so-called "Greek Dark Ages." Intentional historical deceptions. "King David" was Madduwatta. The Great Coward. Tushratta was Saul. "The Indictment of Madduwatta": read all about it: David murdering a Hittite general Kisnapli (From Nepal) so he can steal his wife and daughter. Running from "Attarissija" (Father Surya/Sol), who kills Hittite prince "Zidanze" on his way to marry Tut's widow so his brother "Aye" can grab the throne. It's all there...and guess what else an observant person will notice? "Tushratta" is Yuya. His grandson, Tut? "Y'eshua"...YHWH/Yuya's Shiva. His tomb has the sign of "Archangel Michael" in it, hieroglyph says "Mkl." That is the Mahakala: the badboy avatar of Shiva when he is pissed. SheSha...that is a Vedic Hindu avatar of another god: BalaRama. ALL of what you THINK you know about Egypt is 100% incorrect. Yuya/YHWH is Yudhishthira. King of India. Yudh. Judah. That's why the only temple ever found in Urusalim/Jerusalem is to the Queen of Heaven: Asherah. Asherah/Ishthera." Yudh Ishthira= Yuya and Tjuya. And in that temple in Urusalim was found a cartouche of Yamuni Hopte III and "Tiye." Where else are their cartouches found? In the Mycenaen tomb of Clytemenestra. Sister of "Helen of Troy." Odd? No: Nefertiti was "Helen of Troy." Figure it out: "Homer" is a scribe. "Horem" was Scribe of Yamuni Hopte III. "Nebuchadrezzer" (Armana letter from Tushratta to Tiye: Akhenaton is called "NephuHurriya" The Law Tablet God Nephu of the Hurrians..."Moses") was Akhenaton. Nebuchadrezzer lays seige to Tyre for 10 years. Time to put away the nice little fairy tales made up by "Ionian Greeks" and find out the real. Chasing twisted myth will just lead in circles. They had to "shed their Vedic skin" on the run and morphed into "Jews." Fact: The Mahabharata is at least 5000 years old. How do I know? Egypt has ALWAYS been Vedic, since the pre-dynastic days. INDRA, KING OF THE VEDIC GODS, WAS A PHARAOH OF EGYPT. No doubt the Minoans represented the mixed crowd leaving Egypt with the Hebrews (Exodus 12:38). Minoan frescoes are no longer painted in Egypt after Thutmose III because he is the Exodus king. Pumice was used to make idols towards the end of Thutmose III's reign when the island of Thera blew up, creating darkness over Egypt for 3 days. Tel Kabri, in western Galilee archaeologists discovered a Minoan palace dated to Egyptian king Senusret III's reign when Joseph was in Egypt. Qatna,Syria archaeologist also found Minoan artifacts. Cannanites, Minoans, Jacob's family were all in Egypt at the same time in world history. of Crete by Amenemhet III's fleet. Egyptains see Labyrinth and build one in Egypt. IV and Queen Sobekneferu. Minoan ax found in Ahmose mother's grave. Hyksos leave in the first Exodus. Minoans and Hebrews remain in Egypt's delta during Amenhotep I's reign. Thutmose I reign.Minoans like leaping over bulls. Queen Hatshepsut worships the cow goddess Hathor. Exodus 12:38. Minoan island of Crete shaken as Thera blows up creating darkness during 3 days (Exodus 10:21-22)Ash = darkness that can be felt. second Exodus in Thutmose III reign. Amenhotep II reign the Hebrews worship the golden calf. pottery about the time Amenhotep III comes to power shortly before Joshua invades Canaan. The Minoans built Senusret II his temple at Lahun. The Minoans helped Senusret II start the Fayum irrigation project modeled after the mainland Greek Boeotia project. Senusret III continues the Fayum irrigation project. Some Minoans settle at Avaris, Egypt. Global famine strikes. (Genesis 41:57) The Canaanite Hyksos enter Egypt. Amenemhet III completes the Fayum irrigation project making Egypt more prosperous selling more produce than even Senusret III. Babylonian farmers fail in their crop yields. Many owe merchants money and as payment sell themselves into slavery. They help complete the Fayum irrigation project. The Fayum canal is called Bahr Yusef (Joseph's canal) and Egypt becomes the world's breadbasket. Minoan Linear A language is Western Semitic, which is basically Canaanite or the Hebrew language. There appears to be the Canaanite Hyksos living in both Egypt and the island of Crete. Egyptian king Thutmose III was the pharaoh of the Exodus. The Hebrews left Egypt. After Thutmose III Minoan pottery begins disappearing. Mycenaean pottery replaces Minoan pottery. Mycenaean Linear B language is Greek. It begins to become the dominate language in Egyptian king Amenhotep III's reign. Joshua enters Canaan in Amenhotep III's reign. (Tel-Amarna letters) The Semitic Linear A language on the island of Crete now ends. Now there arose a king who knew not Joseph. (Exodus 1:8) Why? The Egyptian king Ahmose had purged Joseph's name from all Egyptian records. Moses name was deleted from Egyptian records from the pharaoh who suffered the ten plagues. is mentioned by the Jewish historian Josephus. The princess name is Thermuthis, from the Thutmose family. It was princess Hatshepsut who saved the infant Moses. wanted to reduce the Hebrew population. Thutmose II was a sickly king. Queen Hatshepsut ran his government. Thutmose III had 17 military victories in Asia. All captives were required to worship Egyptian gods. Moses did not. Thutmose III is the Exodus pharaoh. Modern man won't research ancient history which matches our Bible, yet supports those who mock the Jewish people. Ten good reasons for eliminating Egypt's false dynasties. (1)Thebean Mentuhotep IV was assassinated by Amenemhet I and Ahmose's family assassinated Amenemhet IV 215 years later. 1843-1628 B.C. (2)The Story of (Sin)-hue was written in Senusret I reign 1813-1777 B.C. when (Sin)-muballit reigns over Babylon 1812-1793 B.C. (3)The pattern works. Pepi I & Pepi II reign. Then Mentuhotep Thebean dynasty. (Amenemhet-Senusret dynasty) Apepi I & Apepi II. Then Ahmose Thebean dynasty. (4)Amenemhet II 1777-1743 B.C. receives Tod treasure from the Minoans in his 28th year in 1749 B.C. Babylonian king Samsu-luna begins his reign in 1749 B.C. An alliance against Babylon? (5)Amenemhet III 1685-1640 B.C. now has trade with Babylon's king Ammi-ditana 1683-1647 B.C. Babylonian slaves complete Bahr Yusef (Joseph's canal)Canaanite king Khyan at Avaris, Egypt has trade with Babylon and the Minoans. (6)The Minoans also bought Babylonian slaves. Minoan A language is Babylonian Semitic origin. (7)Number(3)gives insight why the Egyptian 7-10 and most of the 11th Egyptian dynasties are a hoax along with the 13-16 and most of the 17th dynasties are a hoax. (8)It appears that Amorite Babylon's power declined somewhat after king Hammurabi died in 1750 B.C. Then the global famine hit the world. king Ammi-ditani merchants began selling Babylonian slaves to Egypt and the Minoans on the island of Crete. (9)Babylonian, Canaanite, Egyptian and Minoan history coming together in Bible chronology. (10)The Minoans were part of the mixed crowd. (Exodus 12:38)They left in the second Hebrew Exodus. The first Exodus the Hyksos/Canaanites left Egypt. It is interesting the Thebean Ahmose mother was buried with a Minoan ax. Did the Minoans fight against the Hyksos/Canaanites at Avaris, Egypt? Hyksos/Canaanite king She-shi may have come from She-chem, entering Egypt during Egyptian king Senusret III's reign as his captive. Hyksos/Canaanite king Yaku-bher reigned over the city of Avaris. Yak-ov/Yaku-b represents the name Jacob. Yaku-bher likely reigned over Avaris when Senusret III and Jacob had died. ian king Amenemhet III trades with Babylon and Crete. Hyksos/Canaanite king Apepi I warred with Ahmose father Seqenenre Tao. Amenemhet IV then dies. Hyksos/Canaanite king Apepi II or Kamudi reigning at Avaris wars against Ahmose. The Hyksos lose and the Hyksos are driven out of Egypt. The Canaanites came to Egypt during a great world famine. (Genesis 41:57) Hyksos entry in Egypt. The Hyksos/Canaanites were in Egypt from Senusret III's reign until late in Ahmose reign. These Hyksos/Canaanites were in Egypt for only 94 years. What about the connection with Se-(qen)-en-re Tao the Thebean king and Apepi I (A-(qen)-en-re) the Hyksos king he has war with? What about prince Ma-ak-her-ure born in Amenemhet III's reign and Hyksos king Y-(ak)ub-(her)? The Hyksos were finally defeated by Ahmose in 1608 B.C., living in Egypt 91 years and Sharuhen, Canaan some 3 years. Joseph lived in Egypt for 93 years. Moses was born 56 years after Joseph had died. Joseph was 39 years old when Jacob arrived in Egypt. Joseph had lived 22 years in Egypt at this time. 94-22=72 years. Plus 72 + Sobeknefru's 3 years = 75 years Plus 16 years in Ahmose reign before Hyksos defeated in Egypt = 91 years. Ahmose 3 years at Sharuhen 91 + 3 = 94 years. Joseph's wife is called As-e-(nath). (Genesis 41:45)A-(sen)ath lived during (Sen)usret III's reign. The Hyksos/Amorite/Canaanite kings A-pepi I & A-pepi II was likely named after Pepi I & Pepi II. Pepi I warred with the Amorites five times and towards the very end of Pepi II's reign the Amorites invaded Egypt. Ahmose son AMEN-Hotep named after AMENemhet 12th dynasty and Mentu-HOTEP 11th dynasty. Moses was born during Thut-MOSE I reign and Thut-Mose III was the Exodus pharaoh. Egyptian king Ahmose had to reign BEFORE the Amorite Babylonian kingdom fell in 1595 B.C. Why? Ahmose was the first king to worship the moon-god Iah BEFORE the Amorite/Hyksos/Canaanites were driven out of Egypt. Amorite/Babylonian king Samsu-ditanna 1625-1595 B.C. was a moon worshipper. Ahmose reign was 1628-1603 B.C. Ahmose drove the Hyksos from Egypt and defeated them at Sharuhen, Canaan. Ahmose defeated the Amorites at Sharuhen. Amorites had power for 400 years. (Genesis 15:13-16) Amorite Babylonians reigned for 300 years. Egyptian king Thutmose III broke the Amorites power. Thutmose III (Bible chronology) died in 1495 B.C. Its interesting Ahmose chose the moon god Iah to worship at the same time the Amorites in Babylon worshipped the moon-god Sin. Today, the Moslems worship the moon-god Allah. The cresent moon is found on many Moslem nations flags. The Tomb of Rekhmire shows Semitic people making bricks in Thutmose III's reign. These Semitic people are most likely Hebrews. Here is another example showing the Hebrews were in Egypt. Egyptian/Libyan king Osorkon I 974-938 B.C. let 1,000,000 Ethiopians pass through his land. Asa's army wins total victory against the Ethiopians. The Ethiopians would not become powerful again until Judah's king Ahaz reigns. At that time the Ethiopian king Piankhi overruns Egypt. Egyptian/Libyan king Shishak 995-974 B.C. had used the Ethiopians (2 Chronicles 12:2-3) when he attacked Judah's king Rehoboam. (1 Kings 14:25)Shishak took gold as tribute from Rehoboam. Egyptian king Senusret III's sister was Sit-Hathor-Yunet who worshiped the vulture goddess Nekhbet. Egyptian historians have little idea why Egyptian pharaoh Senusret III's army fought around Shechem. God sent in Senusret's III army to distract the kings of the Canaanite cities from attacking Jacob and his family. The Bible wins again in revealing the facts in Egypt's mysterious hidden history. Pharoah Senusret III 1724-1685 B.C. army in the 20th year 1704 B.C. almost did not make it back from Nubia because the Nile river was so low. Global famine was 1704-1697 B.C. (Genesis 41:57)Jacob arrives in Egypt at age 130 in 1702 B.C. (Genesis 47:9)when Joseph is 39 years old. Amorite Babylonian king Abi-Eshuh 1710-1684 B.C. dams up the Tigris river trying to starve out the Sealanders in the global famine years. Amorite Babylonian king Ammi-ditanni 1683-1647 B.C. Merchants charge 33% on loans to farmers. Those farmers who cannot repay are sold into slavery. Amorite Babylonian king Ammi-saduqa 1646-1626 B.C. passes law which requires all merchants to forgive the debts that the Babylonian citizens owe. Ammi-saduqa worshiped the moon, stars and the planet Venus. Queen Sobekneferu 1631-1628 B.C. reign is unstable. Thebean Mentuhotep IV was slain by Amenemhet I. Perhaps Thebean Ahmose slew Amenemhet IV. Janine Bourriau actually said 12th dynasty pottery style appeared in Egypt's 13,14,15,16 and 17 Egyptian dynasties. She did not eliminate the second intermediate dynasties. Janine Bourriau discovered the Hyksos came to Egypt in peace, not war like Egyptian historian Manetho said. Manetho lied. The Hyksos succeeded in preserving the culture of Egypt's 12th dynasty, however the 13-17th dynasty history is quite fragmented. Who knows? Maybe there was a civil war which brought down the 12th Egyptian dynasty. The majority of the kings listed in the 13-17th dynasties have no history. Archaeologist Janine Bourriau working in Egypt's delta didn't find any artifacts besides the 12th and late 17th dynasties. The second intermediate dynasties are not factual except for Tao and Kamose. Archaeologist Manfred Bietak (Oxford History of Egypt. Ian Shaw. 2000 A.D. p.190)found a pit with Amenemhet IV (12th dynasty) and Ahmose (18th dynasty)artifacts. Between Ahmose and Amenemhet IV Bietak estimated 285 years existed. Why invent 285 years? Seems strange he did not declare the 13th and most of the 17th dynasties a hoax. One might expect the 12th dynasty ended in civil war which the Egyptian scribes invented the second intermediate period to cover up Ahmose bringing an end to the 12th prosperous Egyptian dynasty made prosperous by Joseph. One might expect the 6th dynasty ended after Abraham visited Pepi II. No major building projects occurred until Mentuhotep II. Egyptian scribes invented a cover story by creating the first intermediate dynasties to hide the plagues God brought against Egypt in Genesis 12:17 towards the end of Pepi II's reign. Egyptian king Senusret III had Joseph collect all the land from the nomarch's except the priest's land. (Genesis 47:20-22)The Hebrews were not enslaved at this time in Egyptian history until the 4th generation. Egyptian king Ahmose offered all soldiers fighting with him Egyptian land. Soon after Ahmose expelled the Hyksos/Canaanites-the Hebrews were enslaved. Some 94 years pass from when Senusret III confiscates the nomarch's land until the land begins to be divided to Ahmose army. There were four generations of Hebrews in Egypt before the Exodus. Joseph saw three generations. (Genesis 50:23)Moses was born in the fourth generation some 56 years after Joseph died. The second intermediate dynasties show so little history. Egyptian king Seqenenre Tao is mentioned in a children's story having a hippo which roar was heard some 500 miles away waking up the Hyksos/Canaanite king. There is little history for the second intermediate dynasties since the Abydos kings list shows those kings did not exist. What happened? Thebean Seqenenre Tao and his two sons: Kamose and Ahmose must have revolted against Amenemhet IV & queen Sobekneferu since these two rulers mysteriously died. Ahmose mother was queen Aahotep. A Minoan ax was found in her coffin proving a war had taken place. Queen Sobekneferu successive queen must have been Aahotep. The Hyksos/Canaanites therefore were on Sobekneferu's side in a civil war which covered up the conclusion of the 12th Egyptian dynasty. The pharaoh who ordered the death of Hebrew male babies was Thut-mose I. The princess who found Moses was queen Hatshepsut. Israel's history starts with Abraham, the man from Ur who was born in the reign of Egyptian king Pepi II. Pepi II was in love with one of his generals named Sasenet, who patrolled southern Canaan in the region of Sodom and Gomorrah. Pepi II's naked male and female slaves were coated with honey to keep the flies off him. Abraham would enter Egypt at age 75, Sarah was 65 and Pepi II was 96 years old. The Memphis dynasty ended when Pepi II died and Thebes became the new Egyptian capitol. Ipuwer Papyrus mentions a great plague. God destroyed Sodom and Gomorrah some 20 years after Pepi II died. Egyptian king Mentuhotep II fought in the civil war which occurred after Pepi II had died at age 100. The first intermediate dynasties show very little history, just rebellion which Mentuhotep II brings to an end in his 39th year of reign. The first intermediate dynasties really never happened. Siamon's daughter marries Israel's king Solomon. Psusennes II - keeps Philistines in check. 1 Kings 6:1 480 years before Solomon's 4th year = the Exodus. Solomon reigns 36 more years = 516 years. Plus Rehoboam's 5th year = 521 years after the Exodus. We have 521 years of history which correlates Israel and Egyptian history together. Amenhotep II - experiences two rebellions in Asia. The Canaanites hear of Moses miracle at the Red Sea (Joshua 2:10)and the Asiatics rebel against Egypt. Akenaton - Cousin is Tushratta the Cushan-Rishathaim in Judges 3:8. Akenaton's poetry is similar to Psalms 104. Semenkare - reigns when Israel judge Othniel reigns peacefully over Israel. Tut - Othniel reigns peacefully over Israel. Ay - Othniel reigns peacefully over Israel. Horemheb - Plague strikes Egypt and the Hittite empire. Moabites oppress Israel. Ramses I - reigns for a year then dies. Seti I - Judge Ehud reigns peacefully over Israel. Ramses II - gives the Hittites Lebanon as a wedding present. Hittite king Tudhaliyas gives away Lebanon to the Amorites for an alliance against Assyrian king Shalmanesar I. Jabin the Amorite/ Canaanite oppresses Israel. Merneptah I - states Israel destroyed her seed not. This refers to Jabin's reign over Canaan. Barak and Deborah now reign over Israel in peace. Amenmesses - Barak & Deborah reign peacefully over Israel. Seti II - Barak & Deborah reign peacefully over Israel. Merneptah II - the Midianites oppress Israel. Irsu - the Syrian reigns over Egypt for 2 years. Gideon reigns over Israel in peace. Setnakht - Gideon reigns over Israel. Ramses III - Gideon reigns over Israel in peace. Harem conspiracy. Ramses III almost assassinated. Abimelech declares himself king of Israel after slaying his 70 brothers. Ramses IV-VII-reign. Judge Tola reigns peacefully over Israel. Ramses VIII-IX reign. Judge Jair reigns peacefully over Israel. Ramses X - Ammon oppresses Israel. Egyptian and Syrian land trade route is closed. Judges Ibson,Elon and Jephthah reign over Israel. Ramses XI - Abdon reigns as judge. Smendes - Philistines reign over Israel. Samson judge for 20 years. The Philistines then have control over the Ark of the Covenant for 20 yrs. Neferkhres - Philistines reign over Israel ends when Neferkhres reign ends. Psusennes I - rich Egyptian king. Some Egyptians are sold into slavery. Saul reigns as king over Israel. David finds an Egyptian slave and saves the slave's life. Amenmope,Osokhor and most of Siamon's reign-King David reigns over Israel. Ahmose - defeats the Canaanite/Hyksos whom entered Egypt the same year as Jacob. The Canaanites entered Egypt when Joseph controlled both the Canaanite and Egyptian economies. (Genesis 47:15)Ahmose drives the Canaanites out of Egypt and destroys the city of Heliopolis (Biblical On Genesis 41:45) and all records of Joseph. Queen Hatshepsut - the daughter of the pharaoh who found Moses. (Exodus 2:5-6)Hatshepsut worshiped the cow goddess Hathor. The Hebrews in the wilderness shortly after the Exodus worship the golden calf. Thutmose III - the Exodus pharaoh. (1 Kings 6:1) chronology helps pinpoint him for the Exodus pharaoh. The Exodus pharoah was Thutmose III whose reign actually ended in 1495 B.C. Merneptah I 1280-1268 B.C. Merneptah stele proves the Israelites have a history in Canaan. Psusennes II 1014-995 B.C. & Shishak 995-974 B.C. who dies a few months after attacking Israel. One must have the correct chronology to establish the actual history. Egyptian king Pepi II reigned over Egypt some 94 years. Archaeogist report the next Egyptian king who built on a massive scale after Pepi II was Mentuhotep II. Sakkara Egyptian king's list reveals after Pepi II died the next king is Mentuhotep II. Egyptian Abydos kings list reveals the next king after Amenemhet IV was Ahmose. This means Pepi II's reign at 2278-2184 B.C. should be lowered to 2007-1913 B.C. Abraham lived 1992-1817 B.C. (Genesis 25:7) Pepi II had trade with Sodom a city destroyed in 1893 B.C. Pepi II artifacts were found at Byblos. An earthquake struck Byblos the same time Sodom was destroyed. Mentuhotep II 1913-1862 B.C. Mentuhotep III 1862-1850 B.C. Mentuhotep IV 1850-1843 B.C. Amenemhet I 1843-1813 B.C. Senusret I 1813-1777 B.C. Amenemhet II 1777-1743 B.C. Senusret II 1743-1724 B.C. Isaac lived 1892-1712 B.C. (Genesis 35:28) Jacob lived 1832-1685 B.C. (Genesis 47:28) Joseph 1741-1631 B.C. Hyksos/Canaanites entered Egypt in Senusret III's reign in 1702 B.C. They fight Ahmose father Tao and Kamose. Ahmose reigns 1628-1603 B.C. Amenhotep I 1603-1582 B.C. House of Thutmose I-III 1582-1495 B.C. (Moses lived 1575-1455 B.C.) The Exodus is at 1495 B.C. Abraham lived 1992-1817 B.C. Isaac 1892-1712 B.C. Jacob 1832-1685 B.C. Joseph 1741-1631 B.C. Jacob entered Egypt in 1702 B.C. at age 130. Moses greatgrandfather Levi 1747-1610 B.C. Moses grandfather Kohath 1714-1581 B.C. Moses father Amram lived his entire life in Egypt. Moses lived 1575-1455 B.C. Rehoboam 979-962 B.C. Abijam 962-959 B.C. Asa 959-918 B.C. Jehoshaphat 918-893 B.C. Jehoram 893-885 B.C. Ahaziah 885-884 B.C. Athaliah 884-878 B.C. Jehoash 878-838 B.C. Amaziah 838-809 B.C. Uzziah 809-757 B.C. Jotham 757-741 B.C. Ahaz 741-725 B.C. Hezekiah 725-696 B.C. Manasseh 696-641 B.C. Amon 641-639 B.C. Josiah 639-608 B.C. Jehoahaz 608 B.C. Jehoiakim 608-597 B.C. Jehoiachin 597 B.C. & Zedekiah 597-586 B.C. Solomon's Temple was destroyed in 586 B.C. and Zedekiah was lead into Babylon captivity. Egyptian pharoah Senusret III confiscated all the land of the nomarch's controlling most of the land of Egypt except for the priests land. (Genesis 47:20-22)Joseph bought all the land for the pharaoh except for the priest land. Jacob's sons slew all the males of Shechem, Canaan. (Genesis 34:25 & Genesis 35:5-6)Jacob's family fled to Bethel as all the cities around Shechem felt God's wrath. Senusret III's army skirmished around Shechem, Canaan. Senusret III had horses and chariots used for ceremonial purposes and not war. (Genesis 41:43) Joseph rode the second chariot. Egyptians in both (ceremonial) chariots and horsemen marched with Joseph when they buried Jacob in Canaan. Horse skeleton found at Buhen, Nubia (Sudan) dated to Senusret III's reign showing horses were used in Egypt's Amenemhet/Senusret dynasty. Canal in Egypt called Bahr Yosef (Yosuf? )Joseph's canal completed in Amenemhet III's reign showing us that Joseph was in Egypt. It was princess Hatshepsut who found the infant Moses in the Nile river. Her father was Thutmose I the Hebrew male baby slayer. Hatshepsut helped the sickly Thutmose II reign over Egypt and Thutmose III is the pharaoh of the Exodus. (1 Kings 6:1 chronology helps set Thutmose III as the Exodus pharaoh)Tel-Amarna letters state the Haribu (Hebrews) have attacked Canaan in the reign of Egyptian king Amenhotep III some 40 years after the Exodus. Amenhotep's son is Akenaton whose uncle is Tushratta the Cushan-Rishathaim of Judges 3:8 proving the Exodus occured before Amenhotep III. An Answer, and where to look. It would be great to know exactly which Pharaoh it was that faced Moses and some work has been done in that area, but Archaeologists are still discussing exactly when it was. That means that the Exodus happened in 1450 BC. This was during the reign of Ramses II, the most powerful of all the Pharaohs in Ancient Egypt. Not every scholar dates it like this, but this is a good baseline from which to start. If you go and buy a Halleys Bible Handbook, You will get the History of Egypt and Israel There is to much to cover in this format.